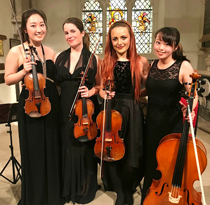 The Salomé Quartet is a multinational ensemble formed in 2016 by four prizewinning students of the Royal College of Music in London: Haim Choi (South Korea), Ines Delgado (Portugal), Kasia Ziminska (Poland) and Shizuku Tatsuno (Japan). The musicians have performed worldwide in venues including Muzikverein (Vienna), Mozarteum (Salzburg), Unesco Hall (Paris), Lutoslawski Concert Studio (Warsaw), Wigmore Hall, Barbican Hall, Southbank Centre, Royal Albert Hall, Cadogan Hall in London, and continue to appear together in major concert venues throughout the UK. 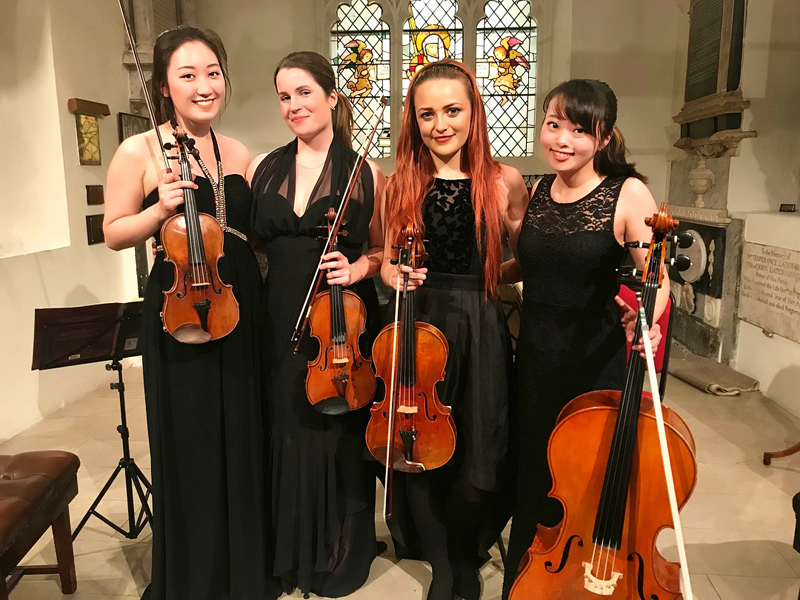 In 2017 the quartet won the RCM String Quartet Competition, Helen Just & Susan Cornell Prize and the Sacconi Quartet Prize and was the quartet in residence at the Oundle School. 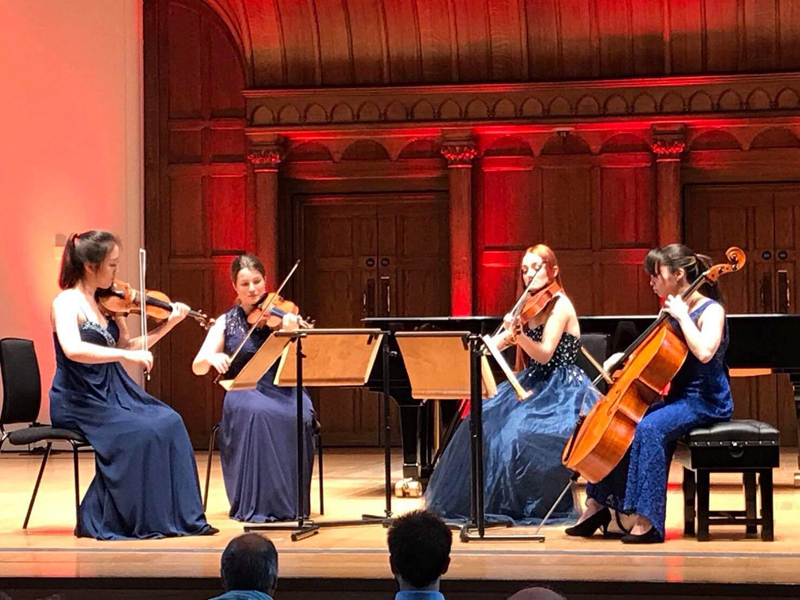 The group is working under the tutelage of Mark Messenger and members of the Sacconi, Harlem and Fitzwilliam Quartets, with the generous support of the Stanbridge Drake Brockman Award, Douglas and Hilda Simmonds Award and the Orpheus Award.